Earn more. Be happier. Make a difference. OpticianWorks online training courses are designed to build successful opticians, whether you’ve been in the business or looking to start a new career. Can you use OpticianWorks to pass your certification and licensing exams? Absolutely! In fact, thousands have. We’ll help you do that, if that is your goal. But passing an exam doesn’t make you a great optician. Developing the right skills and dedication to the craft does. This is where OpticianWorks stands head and shoulders above other online or offline optician training. What do you get with an OpticianWorks online optician training? Choose from the entire optician course library. Learn what you want, when you want. 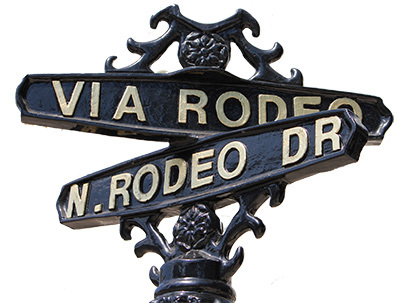 Access to our exclusive, members-only, optician community. Learn from your computer, tablet, or mobile device. Switch back and forth as you like. Keep track of what you have learned with progress tracking and quiz reviews. We have to sleep sometimes, but we’ll respond as quickly as possible. Try it out for 30 days. If we you’re not happy for any reason, get a full refund. You set the pace with online learning. Learn what you want, when you want, and practice with the examples and quizes. 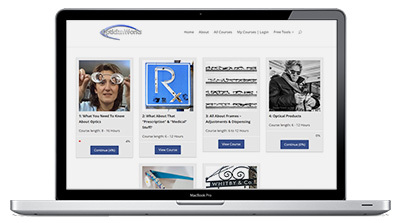 “Great site, lots of great information and the videos are wonderful!” – Harry C.
OpticianWorks courses will give you the skills and mindset to make opticianry what you want it to be. Use the “Ultimate Guide to Becoming A Rock Star Optician” and weekly Optician Success newsletter to keep you inspired and on track to build a better buisiness or optician career. I am working as an optician in Texas. Years ago I started at Indiana University in the optometric technician program, later became a teacher and now work as an optician studying so I can be a better optician, move up and also get a raise. Thanks for the website that does not cost $$$$$. P. J.
I visited your site and found the information very helpful as I am currently teaching a set of new comers with little optical background, the art of opticianry. The information in your site has immensely helped us. Keep doing the good things L. T.
I wanted to let you know that after reviewing it and other sites I found yours to be the best thought out, easiest to understand site out there. Being an experienced optician I knew that my “easy to understand” is not the same as my co-workers, so I had one of them look it over today and she said it was much better than what I had already had them using. C. R.
“I have been an optician for 22 years. I just found your site by accident. I think you have done a great job, and I will be telling all my friends in the field about it!” – Steve H.
Try OpticianWorks for 30 days. If you don’t like it, we’ll refund every penny. Obviously, we think OpticianWorks optician training will help you earn more, be happier, and make a difference, but we’ll admit we’re a little biased. That’s why we invite you to try OpticianWorks for 30 days. If it’s not all you had hoped, simply let us know and we’ll refund your full purchase price. No strings attached. No hard feelings. How does that sound? For a limited time, OpticianWorks online training is available to you for only $9.99/mo. Cancel at any time.